Opt for the best non-surgical L2-L3 slipped disc treatment in Malaysia. Call us Now! Have you Been Diagnosed with Slip-Disc at L2-L3? Slip-disc at L2-L3 is descriptive of a spinal disc disorder of the upper lumbar spine. The L2-L3 disc is about 2 inches above the waist. Problems at the L2-L3 segment of the lumbar spine commonly refer to pain in the mid or lower portions of the spine. Some may even experience pain in the flanks or the inner parts of their thighs. However, if the L2-L3 slip-disc is severe enough, it can cause pain anywhere from the waist down to toes. In this article, we will provide a brief overview of slip-disc, in hopes of providing our patients with the needed information. Please feel free to share this page with friends and family members in need. The lumbar spine consists of 5 spinal bones named lumbar vertebrae. 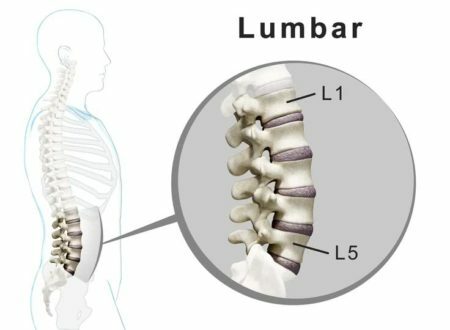 They are labeled from L1 to L5 with L1 being the first vertebra of the lumbar spine and L5 being the bottom-most vertebra in the lumbar spine. The incidence of slip-disc in the lower lumbar segments such as L3, L4, and L5 are far more common than the upper portions of the lumbar spine. There are a few theories that explain the higher incidence of slip-disc in the lower lumbar spine. Why did you get a Slip-Disc or Slipped Disc? Poor posture: Poor posture is the leading cause of spinal disc damage including damage to the L2-L3 segment. Increased discal pressure: Prolonged sitting or excessive bending at the waist leads to increased intradiscal pressure. Increased disc pressure is the leading cause of spinal disc degeneration. Improper lifting: Lifting heavy items or lifting while bending at the waist places excessive stresses along spinal joints and spinal discs, leading to tears and even slippage of spinal discs or spinal bones. Neglect of a minor back issue: Neglecting the so-called normal backache is a leading cause of spinal disc issues. Hereditary predisposition: Congenital issues play a critical role in spinal health. Most common congenital problems that cause spinal disc issues in the lumbar (L1-L2, L2-L3, L3-L4, L4-L or L5-S1) include scoliosis, lumbarization, sacralization or pelvic unleveling. Lumbarization: The lumbar or low back has five segments. Lumbarization occurs when there are more than five segments. It results when the first segment of the tailbone (sacrum) takes on characteristics of the lumbar vertebrae. Sacralization: You have sacralization when you have less than five segments in the low back. In sacralization, the last lumbar section takes on characteristics of the tailbone or sacrum. Why your low back is painful or easily hurt? Load-bearing: The lumbar spine is most weight-bearing of all spinal segments Mobility: Lower back portions of your spine allows for bending, twisting and tilting backward. Center of the body: The low back or the lumbar spine is at the center of your body. It connects the upper body and lower body through the trunk and lumbar spine. Shearing force: Another argument is that there is an increased shearing force at the lower segments of the lumbar spine is due to the lordotic curvature. Therefore, the spinal discs in the lower lumbar are more prone to injury when the weight of the upper body is placed on these segments. What are the common spinal issues in patients with an L2-L3 Disc Problem? These are the most widely recognized MRI readings if there should arise an occurrence of L2-L3 disc. Symptoms are dependent on the severity of nerve compressions. However, some individuals present with moderate nerve compression, but yet still live pain-free. The primary symptom includes back pain. You may also experience pain, weakness, numbness, tingling or burning sensations in front of your thigh. The second lumbar nerve originates from the L2-L3 interspace. It controls the upper portions of your low back, thighbone and the muscles at the front of the thigh. Good examples of muscles controlled by the l2-l3 nerve are the Quadratus lumborum and Iliopsoas muscle. Both of these muscles are in charge of keeping you in an upright posture. Pain, numbness, tingling or burning sensations are common when the l2-l3 nerves are compressed, irritated or damaged. Also, internal organs can malfunction when problems occur at the L2-L3 spinal segment. Problems in the upper lumbar spine can result in back pain, leg pain, leg weakness, leg tingling (numbness), constipation, colitis, and diarrhea. What are the Most Common Spine Conditions Seen in The Lower Back? Conservative treatment is your best option for an L2-L3 spinal segment issue. Many who suffer from chronic back pain opt for spine surgery. Spine surgery provides hopes of relieving some of the symptoms. Yes, it can alleviate some of the symptoms, but never all of your pain. Fact-Finding research published in the database of the Ohio State Workers’ compensation Beru found spinal fusion (spine surgery) failed to provide lasting relief for 75% of the operated patients. At 2-years post surgery (after surgery), some 40% of patients still relied on pain-killers to alleviate the pain. So, take our advice and opt for our conservative treatment before you even consider spine surgery. How common is a Slip-Disc? Slip-disc at L2-L3 level is less common as those at L3-L4, L4-L5, and L5-S1, but when it is present, it may have a misleading clinical picture that doesn’t fit into any of the categories. If the slip-disc at L2/L3 level is very severe, it may also compress the L4, L5, and S1 (first sacral segment or tailbone). Compression of the L4, L5, and S1 nerve may result in low back pain, buttock pain, thigh pain, leg pain, sensory changes that affect the lower limbs and weaknesses in the lower leg. However, the presenting symptoms may not follow any of the dermatomal or myotomal distribution patterns. The deep tendon reflex may be hypersensitive or less reactive which may be misleading when a healthcare practitioner is concluding the differential diagnosis. Femoral nerve stretch test may be positive when a patient present with slip-disc at L2/L3 level. The primary nerve innervation for femoral nerve comes from L2, L3, and L4. Slip-disc at the L2-L3 level should be able to reproduce the pain, numbness or tingling sensation at the front and outer side of the thigh or in the inguinal region. Weakness or atrophy of the quadriceps muscles or tibialis anterior may be present too. MRI of the lumbar spine can show the severity of the slip-disc and the segments involved. It can also reveal if there is any compression of the nerve roots. What Should You Do If You Suspect a Slip-Disc? If you suspect a lumbar disc herniation (slipped disc or slip-disc), visit one of our centers today. Chiropractic Specialty Center® has the best non-surgical clinical teams for accurate diagnosis and holistic treatment of slip-discs. Our methods of care are superior to others, as we targeted every aspect of a spinal disc issue. In short, the procedures you get from us will lead to faster and longer lasting improvements. In our center, only the best clinical physiotherapists and expert chiropractors will render care simultaneously, through advanced technology that others do not have in Malaysia. NSD Therapy® is the best and most sophisticated non-surgical treatment for slip-disc. 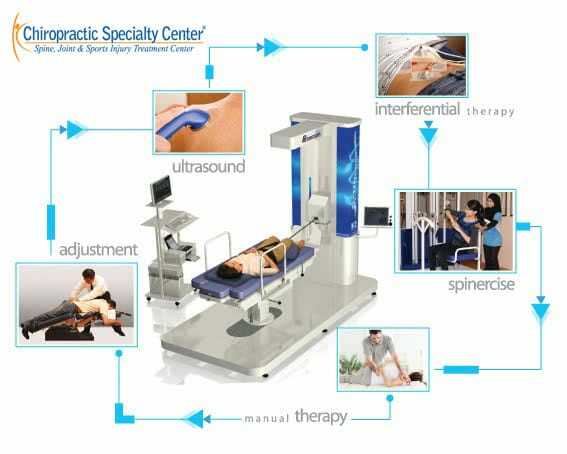 It incorporates the best clinical practices of physiotherapy, chiropractic, and rehabilitation. Best of all, the care you receive is painless. Don’t settle for less; our proven methods of therapy for the L2-L3 slip-disc or a slipped disc at any other level of the spine is unmatched. I had my slipped at L4 & L5 one month ago, now under one the the chiropractic clinic in KK, Sabah. Do you know any clinic do have NSD Therapy in KK or please advise. Thank you. We apologize for not writing sooner. Unfortunately, there are no centers in Sabah that offer NSD Therapy®. The closest centers to you are in the Klang Valley.